WhatsApp security is very needed term all time for all users so that no one can see the private message on your Whatsapp iPhone account. Before this time WhatsApp didn’t give option set passcode on Whatsapp application. Hope that WhatsApp will be updated, a new and advantageous feature in short future time. For now, here I gave the best alternate option for a set passcode on Whatsapp iPhone or iPad running on the latest iOS. [Officially Released Now – Feb 2019] Latest Updates on WhatsApp with New Features are: Enable WhatsApp Passcode with Two-Step Verification, Disable Passcode, Reset WhatsApp Passcode. And also, there is no app in the App store to protecting your WhatsApp application through passcode or Touch ID. So you need to make your device jailbreak, For jailbroken iOS device here is the excellent features app for lock Whatsapp iPhone app with a passcode. You can hide Whatsapp like hide the stock app from home screen, but you can’t set passcode from iPhone settings or WhatsApp settings. Then you can open through spotlight search. Step 1: Go to Cydia app and Open it. Step 2: Search iApplock, For made all the app secure with password including WhatsApp. Step 3: This will be available under the Cydia repo and install the free app on the iPhone. 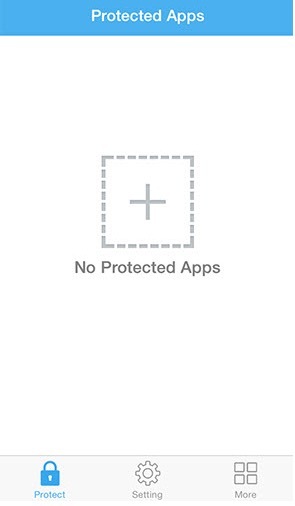 Step 4: When you launch the App, Under the protect tab option, Your protected app not present. There you have to add WhatsApp by a tap on plus region. After Add WhatsApp app, You can set or change passcode for access Whatsapp. Lock Status Should be enabled. 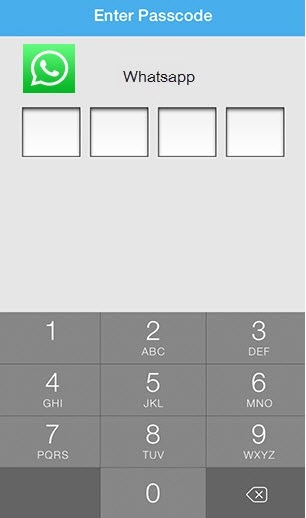 Second, Tap on change lock passcode. Now, Whenever you open WhatsApp messenger on your iPhone, First you have to enter 4 digit password for verification. You are done, Any help on set passcode on WhatsApp iPhone running on iOS. Feel free and share with us on the comment box.